Are Designers and Pattern Makers Cut from the Same Cloth? The art of fashion is in a class all its own. A painter, for instance, summons images from the depths of her imagination, blending colors and strokes until her canvas is covered. A fashion designer goes through a similar creative process, but the image she creates is only the beginning: drawings must be transformed into a wearable product that fits standard proportions, can be copied with minimal error, and can be graded into different sizes. All of this has to happen before a garment can be produced, distributed, and sold. That being said, the journey from paper to finished product begins with a pattern. The designer’s target market (gender, age, special size, etc.) will determine the standard measurements to begin with. Several measurements are utilized: bust, waist, and hip circumference; chest, back, and upper arm width; and torso, leg, and arm length, to name a few. 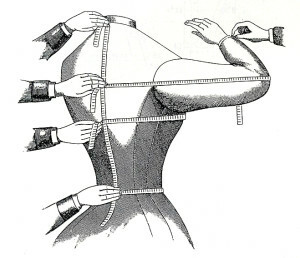 Once the pattern maker has the right proportions, she will draw a line for each body measurement on thick oak tag paper, including unique details of the garment’s design such as the neckline and “ease” (how tight or loose the garment will fit). A pattern maker will draw and cut different patterns for the front and back of pants, skirts, bodices, sleeves, pockets, cuffs, collars, and embellishments such as bows or sashes. The most basic function of a pattern is to serve as a stencil or guide for fabric cutting. However, a pattern must also include all of the information needed to assemble the garment. For example, pattern edges are notched to tell sewers where to join two pieces of fabric. The notches must be placed perfectly to create a completely even and symmetrical garment. A pattern maker must also include several internal markings to instruct sewers. These include the placement of zippers, pockets, horizontal and vertical stripes, buttonholes, and buttons as well as darts, seams, closures, pleats, and seam allowances. A pattern maker’s ultimate goal is to design a pattern that can be sewn perfectly by anyone in a reasonable amount of time. The first step to achieving that goal is measuring and marking patterns with complete accuracy. A good pattern maker assumes that cutters, sewers, graders, etc., down the line will make slight mistakes when using the pattern. For example, if each person makes a tiny mistake of 1/32”, the total error can grow to be 1/8” or more, which is enough to create crooked cuffs, collars, pockets and stripes. This can be minimized with a precise pattern. The second step is marking patterns according to a universal color-coding system. By doing this, the pattern maker ensures that the sewer can create the garment without learning the pattern maker’s language. It is no wonder that large fashion brands employ separate artists to design apparel and create apparel patterns. The two jobs require very different skill sets; the former is creative and conceptual while the later is technical and process-oriented. A good option for smaller brands is to outsource their pattern making needs. Apparel Network, for example, will consult with your design team extensively before creating the perfect patterns for your garments. Summer is here! Just as winter brought us faux-fur lined hoodies, summer will bring its own fashion trends. Let’s take a peek at what we expect to be the hottest looks for summer. Denim never seems to go out of style. Ever. While the denim mini-skirt disappeared from the fashion radar for a few years it seems to be making a comeback. The most popular ones come in a lighter shade – an almost washed out look, like the one Vetememes designed. Like jeans, your mini-skirt can be paired with pretty much anything, like graphic tees (which never go out of style) or maybe those gladiator sandals which are also making a comeback. We could argue that gladiator sandals are not even really a trend anymore, having become a staple of summer fashion. They come in every style your heart and wallet could desire: embellished with beads and feathers, knee high and even with heels. The fact that you can wear them with that hot new mini-skirt makes them this year’s must-have summer sandal. As the weather warms up it’s the perfect time to show off a little skin. Off-the-shoulder tops are very much in style (did they ever really go out of style?) and in every conceivable color, in prints and solids, so get ready to exposure your shoulders and break out some sunscreen. Not crazy about the off-the-shoulder look? You can achieve the same tan while sporting spaghetti strap tops and crop tops, two trends from the 00’s that are back with a vengeance. The theme is the same: flaunting what you’ve got above the belt. These are the three major trends we’ve picked out for this summer, but there are plenty of other ones out there. Time to go out and enjoy the sunshine. Street and urban wear’s origins are rooted in music and sports. Hip hop was the single biggest musical influence on street style, but there’s no single sport that can be singled out as an inspiration for urban fashion. Each has contributed different elements to the look, from jerseys to caps to sneakers. Looking back at West Coast fashion in the early days of streetwear confirms that skate boarders and surfers undoubtedly played a huge role influencing some of the movement’s most famous brands like Stussy. But it’s also true that street wear has had a life long love affair with sports jerseys. While basketball and football may have the lion’s share of fashion appeal, baseball jerseys — and more recently soccer jerseys — are staples of urban style. Baseball has the monopoly on caps. In the 80’s and 90’s manufacturers started playing with the traditional cap colors and styles leading to a rise in popularity and sales. 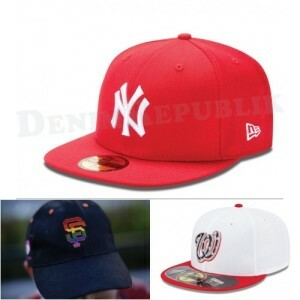 Now you see all types of caps; they might not have a baseball teams’ logo on them, but that just goes to show how far cap fashion has come. 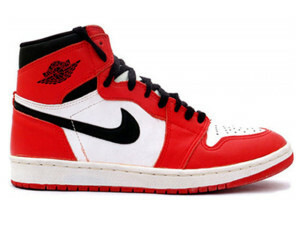 Arguably, the biggest and best selling product that sports has contributed to streetwear fashion is the sneaker. While Run DMC and the Ramones helped to make Adidas and Converse popular, it was basketball that can be pinned as the originator of sneaker culture. Michael Jordan may have changed the game of basketball, but he also almost single-handedly created a sneaker craze that lasts to this day. Air Jordan’s were the most anticipated sneaker release of the year and tended to sell out in less than a day — an extraordinary feat considering there was no online shopping back then. Today sneaker heads collect and show off their shoes not just a fashion statement, but also as a unique expression of their personal style. 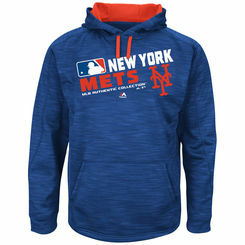 Whether you profess your love for the Mets or the Lakers, urban fashion has taken jerseys, caps and sneakers beyond their purpose as a simple expression of team loyalty. Streetwear has reinvented these garments to become unique expressions of self and personal style. When street and urban wear first hit the market back in the ‘80s they were heavily inspired by the clothing worn by hip hop musicians. Artists like Run DMC, Kurtis Blow and Salt n’ Pepa influenced not only the music industry but the fashion world as well. The most recent streetwear trends draw more from rock music, seeking inspiration from the grunge look of the ‘90s. Step back a few decades and remember the key elements of grunge and the rockers who inspired them. As front men for their respective bands, Nirvana and Pearl Jam, Kurt Cobain and Eddie Vedder were among the musical muses for the scruffy styles that sprouted up in the Pacific Northwest. The look featured ripped jeans paired with combinations of slouchy sweaters, flannel shirts, cardigans and boots. 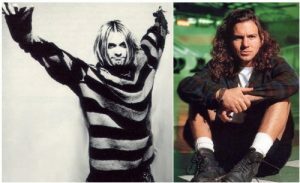 Kurt Cobain loved wearing ratty, ill-fitting sweaters; Vedder was (and still is) sporting his modified lumberjack look in flannel shirts and boots. 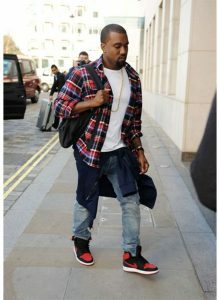 Ironically, today’s hip-hop artists are the ones at the forefront of this new rock-n-roll streetwear trend. Kanye West, A$AP Rocky and others have been sporting grunge-inspired looks for a while. Their reinvention (or rediscovery) of grunge updates the look in just the way you would expect: by adding a bit of bling. While drawing their main source of inspiration from the grunge era, street wear designers are not limiting themselves to it. T-shirts sporting the names of some of the biggest names in heavy metal are mixed in with grungy fashion. A prime example of streetwear’s obsession with rock is the new collaboration between Supreme and Black Sabbath, with Morrissey as the face of their Summer 2016 ad campaign. Pop culture in general, from music to movies, has been a prime driver of urban wear and this latest trend is no exception. Looking good and staying dry when it’s raining outside have often been two mutually exclusive things, but it doesn’t have to be that way. Streetwear has made a lot of progress in making your grey, gloomy days more stylish. One of the hot trends in outwear this spring is the bomber jacket, but unless that jacket is water repellent you’ll still need a rain coat. Let’s take a look at some of the best rain gear trends for this spring. Oh, and you’ll need rain boots too. 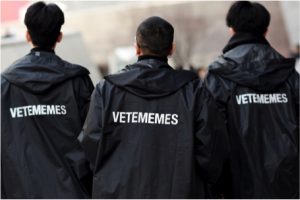 There’s been a lot of clamor around Vetememes black oversized raincoat. It’s been one of the most popular items on of the spring so far, so much so that the original line has sold out. Stone Island and Supreme have teamed up to make a couple of jackets that hearken back to the ‘90s. The slickers feature so-called ”hypercolor” that were sported proudly (albeit briefly) two decades ago. The technology behind these designs allows each jacket to react to person’s body temperature with colors varying between yellows and browns, blues and purples. While novelties seem to be all the rage the classics are still as popular as ever. Take the K-Way hoodie, protecting you from the rain and making you look trendy since 1965. When it’s raining what you put on your feet is just as important as the jacket you wear — nobody enjoys soaking wet feet. In recent years the rain boot fashion has upped its game to a whole new level. 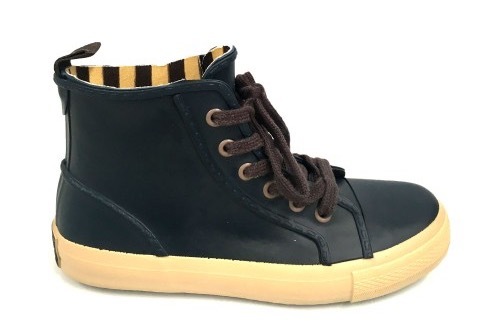 You can find an amazing variety – everything from Chelsea style rain boots to converse style lace ups. With all the choices the fashion industry has on offer, a rainy day doesn’t have to be a bother. Instead, it can be a chance to showcase your unique sense of style. Apparel Network is proud to announce that we are now providing MADE IN ITALY manufacturing services. When it comes to apparel manufacturing MADE IN ITALY has long been the standard bearer for high quality craftsmanship. After going through a period of economic crisis that coincided with the Made in China boom, Italian apparel manufacturing is having its own renaissance. Italian craftsmanship is unparalleled and Italian manufacturers use of only the highest quality of materials in the production of clothing and fashion accessories. This allows them to rise above their competitors and present the finest finished products in the fashion industry. Our factories are located in Italy’s Campania region, the garment production hub of the country. Campania’s factories are renowned for their superior craftsmanship; their long, proud history of being the gold standard of apparel manufacturing still stands true today in part because of meticulous attention to detail. 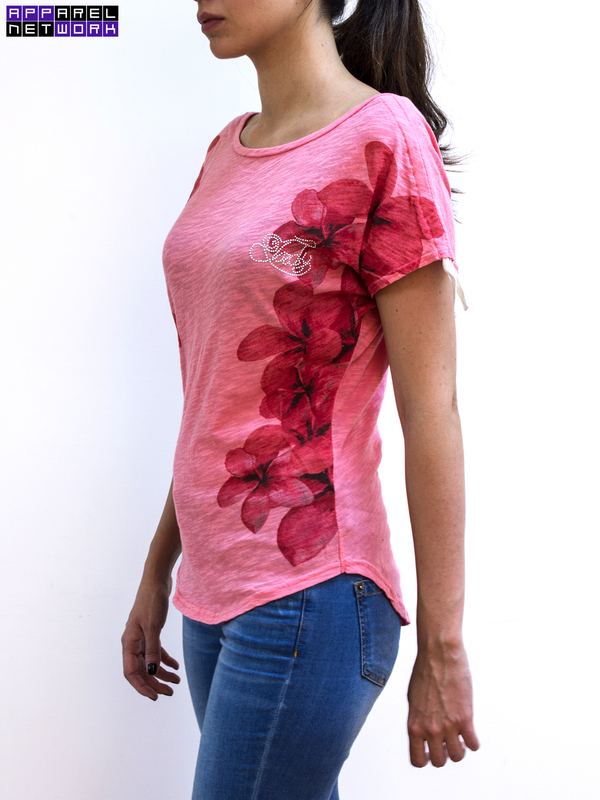 That attention to detail includes using only the finest materials (like prime cottons) and employing only top-of-the-line sewing and embroidery machinery in the production. Why choose MADE IN ITALY? Designers put a lot of work into their designs. It’s only natural that they would like those designs to be translated into an excellent finished product. For designers who want their designs to be superior in terms of quality and attention to detail then MADE IN ITALY is the way to go. MADE IN ITALY is particularly suited to those brands that target the higher end of the retail market. The MADE IN ITALY label yields higher prices on the finished garments because of the unrivaled quality of the cut, material and workmanship. 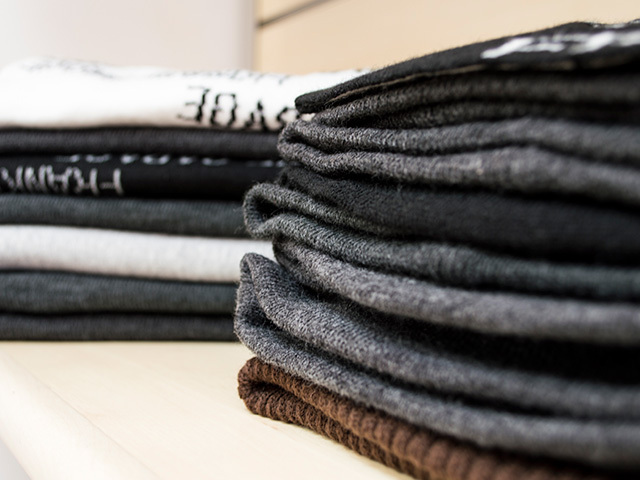 Chances are you own an item of clothing with slub fabric. Chances are you also have no idea what that means. If you have a t-shirt or a dress or sweater that looks and feels a little lumpy (and always has, even when it was new) then you own slub fabric clothing. 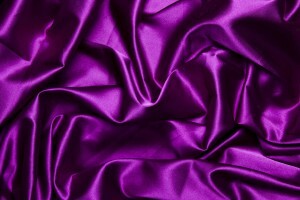 Slub fabric has a unique look to it: it may appear defective because of the knots and bumps throughout the material but that’s done purposely to achieve the lumpy texture. These qualities can occur naturally as is the case with wool or cotton, or can be created using modern machinery. Like all fabrics, slub begins with greige cloth that then undergoes the dyeing process. The dyeing process for slubs is done in such a way as to emphasize the lumps and knots throughout the textile. There are various reasons a designer would choose a slub fabric: its high “drape-ability” and “good fall,” or it simply might fit the type of look they’re going for. For streetwear — especially slub jersey knit fabrics which are often employed in the manufacturing of sweatshirts, t-shirts and hoodies. Slub fabrics tend to work well with those garments. The “drape-ability” of the material is what gives the piece its natural street-feel while the slubs add a little grit to the garments. An added bonus: slub fabric never needs to be ironed. Fabric selection can be a complex and tricky process. Because this particular textile selection can involve different steps (raw textile selection, dyeing, etc.) it’s critical to know who your supplier is and be certain that the product they deliver is up to snuff. Apparel Network is well versed in the selection and production of garments that utilize slub fabric (see photo). Call us first if you have questions and need expert answers. If you’re manufacturing apparel or fashion accessories, it should go without saying that the quality of your clothing will be judged not just by the design but also by quality of the fabric you choose to use in production. Fabric selection in garment manufacturing will ultimately be one of the deciding factors in the success of the finished product. A good manufacturing partner can help a designer focus on the best type of fabric for the design; once the type of fabric has been identified, the manufacturing partner can help source the fabric to be used to make the final, finished garment. The process begins by talking to the designer and looking at the designs. The first step is to narrow down the wide range of possible choices to a few types of fabric. If the design requires a certain type of pattern, then the pattern itself can determine the type of fabric required for production; for jeans designers, the choice is pre-determined – you’ll be using some form of denim. Sometimes a designer comes to us with a specific type of fabric in mind, other times they need help determining which materials will work best for their design and ask us to make suggestions. For example, a dress designer might already have silk in mind for the final garment because he envisions a certain flow or form. the cost effectiveness of the fabric in terms of quantity: that is, can you get more finished product out of less fabric? When considering fabric options, keep in mind that not all materials are appropriate for all garments and that the fabric used in your manufacturing will greatly influence the look of the final product. Every designer hopes to bring something unique to each design they painstakingly create. One way designers have accomplished this has been by adding elements like sequins, studs, and rhinestones to their garments. 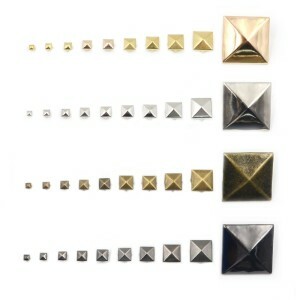 It’s true of both men’s and women’s fashion – just think of the punk styles that paired black leather and metal studs. Creating designs that feature one or more of these decorative components is one thing; when those designs have to go from paper to production floor things can get tricky. Having the right partner to manufacture garments with studs or stones is essential for multiple reasons. A good manufacturing partner can help you chose the right type of element: thermo-adhesive, claw, or sewn. For example, if you’re design employs light fabric you probably want to consider using acrylic stones or sequins, which are also lightweight. Drilled stones vs undrilled stones. Drilled stones are applied by sewing them onto the fabric, whereas undrilled stones require special glue for application. Mounted settings vs none. Just like gemstones have settings, so can rhinestones. Mounted settings are generally sewn onto the garment. Thermo-adhesive studs (aka “hot fix studs”) vs claw studs. 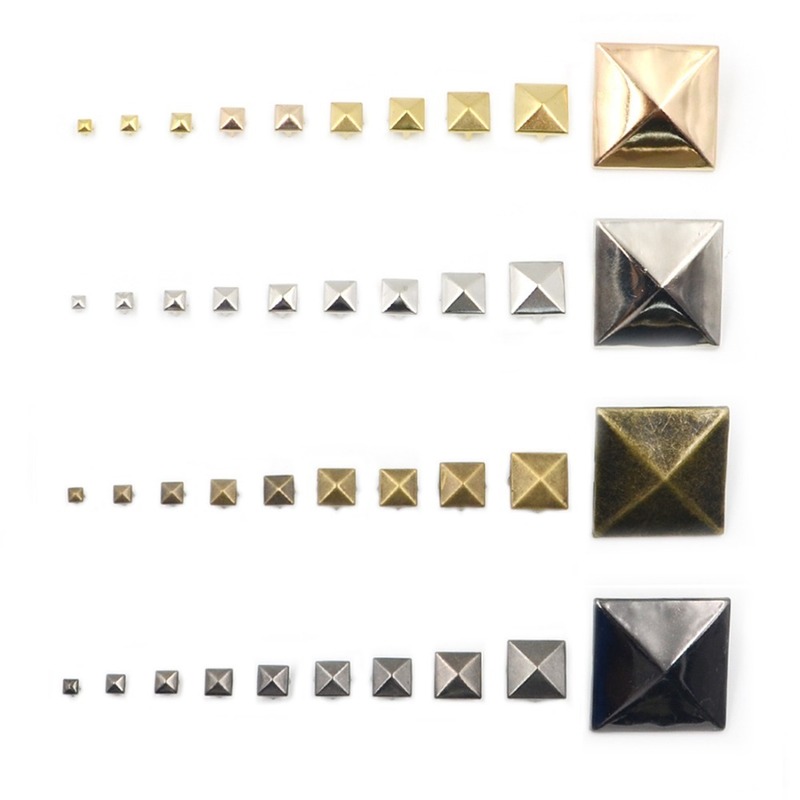 Adhesive studs are applied by using heat to glue the stud/rhinestone to the fabric. Claw studs are applied by poking holes in the fabric for the claws to pass through, which can be done by machine or by hand. The quality of the stud as well as the craftsmanship of the garment are critically important to the success of the end-product. No one wants to buy a shirt with rhinestones that fall off after the first washing! Poor quality of individual elements, as well as shoddy craftsmanship, can tarnish your brand and worse – can ruin your beautiful design. People that suffer from skin allergies, such as psoriasis or eczema are forced to be more cautious about what they put on their skin; they check the ingredients of skin care products, use only certain types of soaps and shampoos, and purchase allergen-free detergents and fabric softeners when doing their laundry. What clothing is made from can also play a big part in the way skin feels; certain fabrics are better than others for sensitive skin. While there is a consensus that natural fibers are the way to go, not all natural fibers are created equal. Some wool and linens can be scratchy and irritating, making a skin condition worse rather than having the hoped-for soothing effect. 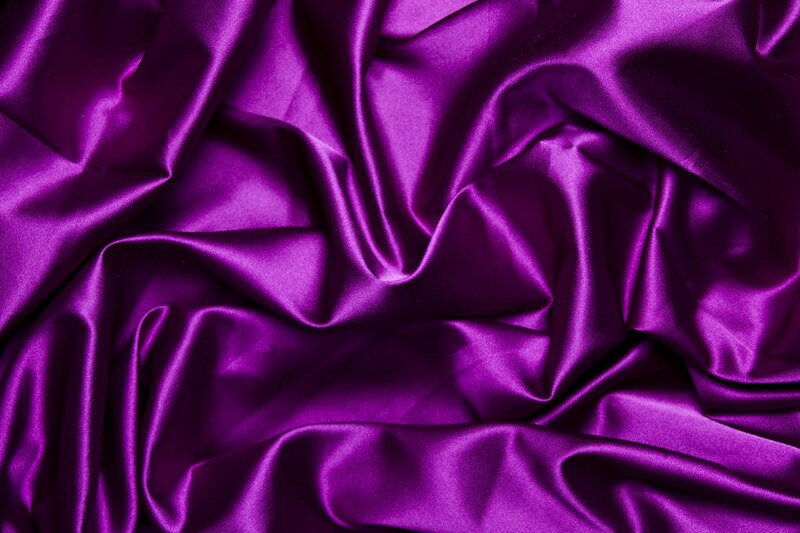 Generally speaking, softer, lighter fabrics such as cotton, silk, and viscose can be better suited to sensitive skins. Why should a designer opt for using natural fibers over polyester, nylon or other petroleum-based synthetics? Consider that in the US alone, 9.5 million children have skin allergies; worldwide 1 in 5 people (20%) have a lifetime recurrence of urticaria; psoriasis affects 125 million people worldwide — around 8 million in the US alone. The same way gluten-free aisles in supermarkets have opened the door to a larger market for food products, designers that manufacturer their clothing with an awareness of the growing number of people with skin sensitivities have an opportunity to earn credibility with a broader consumer population. Apparel Network understands the value of such opportunities and brings this expertise to the designers we work with when helping them develop products for their target market. The fashion industry is always forward-looking, incorporating modern needs and practices into the garment manufacturing process. Looking fashionable without giving up comfort is becoming a higher priority as consumers, and the shift back to natural, lighter fabrics is one the prevalent developments in this year’s fashion world.